If you have questions regarding your investment fraud or stockbroker misconduct case, please contact our securities arbitration and litigation attorneys. 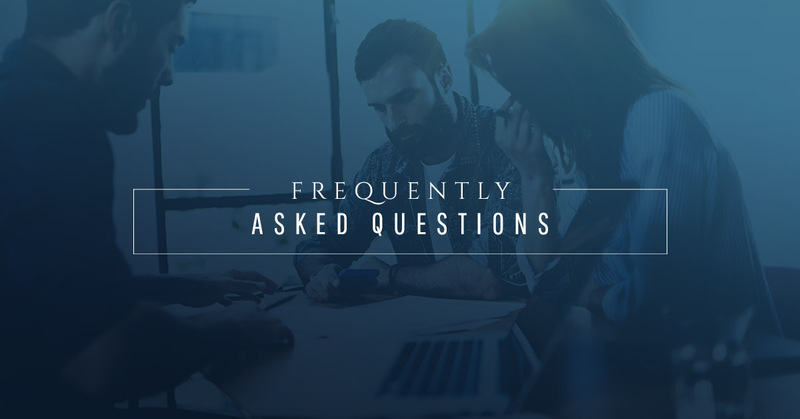 Here is a list of frequently asked questions you might have in regard to investment fraud and misconduct issues. If you would like specific answers that relate to your unique situation, simply contact our New York City law firm to allow one of our attorneys to review your case. Brokers and brokerage firms have a duty to deal in good faith with their clients and many jurisdictions hold that brokers owe their securities customers a heightened duty known as a “fiduciary duty.” Brokers and brokerage firms can be held responsible for abusing the investor’s trust and confidence and breaching their fiduciary duties. When a broker engages in excessive trading for the purpose of generating additional commissions, this is called “churning.” Both the broker and the brokerage firm may be held liable for any losses that arise out of the churning. When is an investment “unsuitable” for me? A broker’s advice should fit your criteria, meet your financial goals and match your risk tolerance and overall situation. The brokerage firm could be held liable for your financial losses when a broker suggests unsuitable investments and you lose money. How do I know if I have a claim against my brokerage firm? If you believe that your investments have been handled incorrectly, you should talk with an attorney who is experienced in this area of the law to evaluate your case. Is it possible to still have a claim if my investments lost money due to my broker being negligent? Negligence does not have to be intentional. If the broker’s conduct fell below the acceptable level of care such as failure to monitor your accounts, this could be considered negligent. Broker negligence cases are generally handled in arbitration before FINRA. There is no law that requires them to have credentials but some states do require investment advisers to pass a proficiency exam. If you suspect that one of your investments may be fraudulent, the first step should be to contact an experienced investment fraud lawyer. One to three FINRA arbitrators will be selected depending on the amount of damages involved in the dispute. Your attorney and the Respondent’s attorney will exchange information (“discovery”). The process can take from about 10 months to a year-and-a-half. What is FINRA mediation and how does it differ from FINRA arbitration? Mediation is an informal and flexible dispute resolution process. The mediator’s role is to guide the parties toward their own resolution. Through joint sessions and separate caucuses with parties, the mediator helps both sides define the issues clearly, understand each other’s position and move closer to resolution. The mediator has no authority to decide the settlement or even compel the parties to settle. Mediation is non-binding until parties agree on a resolution. If the matter does not settle, the claimant has preserved the right to pursue arbitration. After conferring with the parties, FINRA will send a list of proposed mediators from its roster of experienced mediators. The mediators on the list may have subject-matter expertise or other experience, consistent with the parties’ needs in the case. Both parties have a say in the selection of the mediator. Securities arbitration is the process of resolving a dispute between the parties before a panel of arbitrators who are selected through a process agreed to by the parties. Arbitrations are conducted in accordance with the Uniform Code of Arbitration, which was developed by the Securities Industry Conference on Arbitration and the rules of the organization where the claim is filed. How successful are stock fraud arbitrations? A high percentage of stock loss cases settle prior to final arbitration. Most securities arbitration proceedings are administered by FINRA. The investor is responsible for certain expenses including filing fees, discovery costs, the cost of preparing exhibits, and FINRA hearing fees. The average filing fee with FINRA is $1,250. How much time does the arbitration process take? On average, arbitration can take a little over a year to complete from the time the claim is filed until an award is rendered. Call our law firm today with any additional questions about your case.